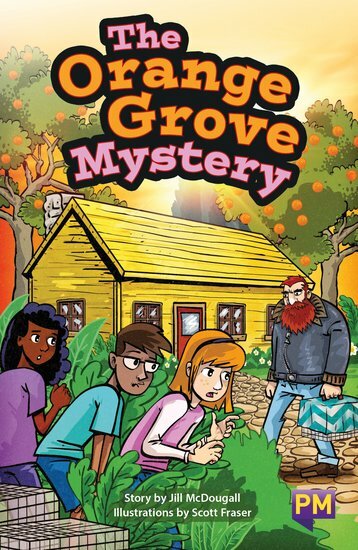 Charlie and his friends, Abby and Bec, are the ABC Gang – and they’re always on the lookout for mysteries to solve. When they go on holiday to Orange Grove, Charlie thinks it’s going to be boring. But then they spy a suspicious man carrying a strange package and Charlie realises that the gang has stumbled onto a whole new mystery. And it won’t be easy to solve! PM Guided Reading Fiction books are engaging stories that increase in word count and pages in line with progression of children’s reading age, for appropriate literacy skills development. The books represent all the standard text types and include a number of literal, inferential and applied knowledge comprehension questions.